This Educational Insight is Hinduism Today magazine's response to the controversy in California over the way Hinduism is taught in public-school history books. 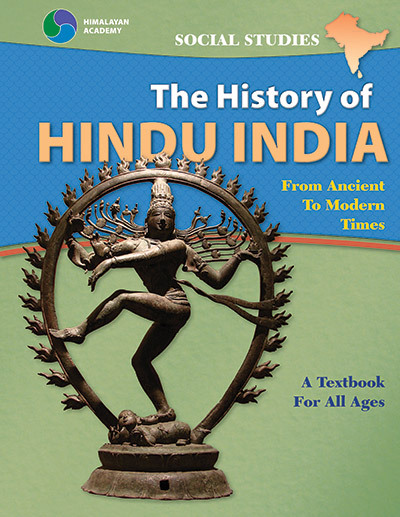 It is a 16-page lesson on Hindu history, beliefs and practices for sixth graders written from the Hindu point of view. It is historically sound and acceptable in content and tone to the various denominations of Hindu community. The problem with every existing textbook for this grade level is that Hinduism is presented negatively, incompletely, and inaccurately. This lesson is patterned after a typical chapter on the Jewish faith in these same books. It deliberately does not follow the specific California standards for presenting the Hindu religion because we believe them to be deeply flawed and contrary to the State's own general rule that teaching material must: 1) be historically accurate, 2) "instill in each child a sense of pride in his or her heritage" and 3) avoid "adverse reflection" on a religion. It is our intent that this lesson will serve as a model for US textbooks, providing an authentic depicition of the eminent history and traditions of the faith while giving 10-year old Hindu students justifiable pride in their religion. Lesson 1 covers from ancient times to 300 ce, and lesson 2 covers from 300 to 1100 ce.